End of season softball banquet marks end to coaching for assistants. It was another solid season for the Lady Royals softball team that saw them advance to the sweet 16 for the fifth straight year. Players, coaches, and families gathered in First Baptist Church�s Fellowship Hall Tuesday night to celebrate it. All players received letter certificates. As there was a JV for the first time in several years, two JV awards were presented. 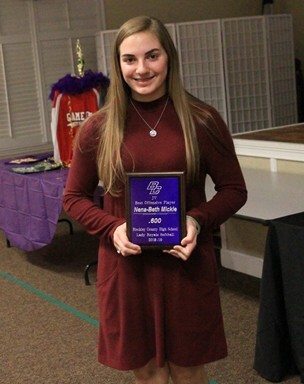 NenaBeth Mickle won Best Offensive Player. 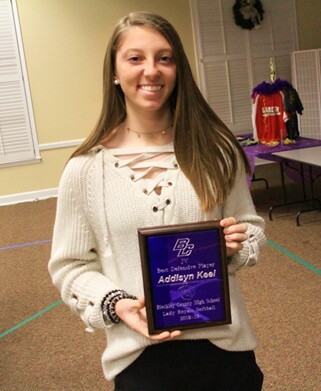 Addisyn Keel was Best Defensive Player. 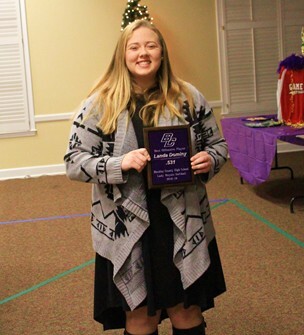 For the varsity: Landa Dominy won Best Offense. 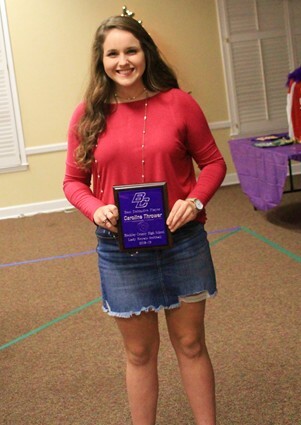 Caroline Thrower, Best Defense. 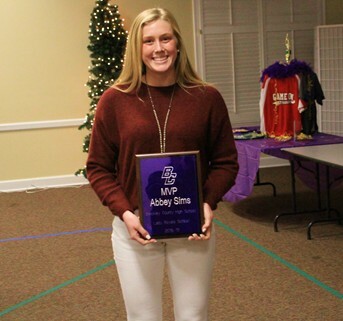 As selected by teammates, Abbey Sims was named MVP and Bailey Odom won the Leadership Award. The final team awards presented were postseason honors. As selected by the coaches of 3-AA, BCHS had seven players make the all-region team. Second team selections were E�Lisia Vickers and Macey Haley. Making the first team were Odom, Thrower, Dominy, and Riley Edge. Abbey Sims was chosen as 3-AA Co-Player of the Year. Sims and Dominy were both honorable mentions to the AA all-state team. 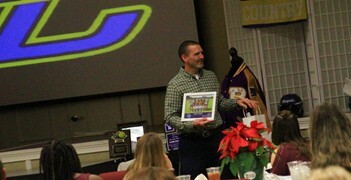 Phillip Hart holds a framed JV team picture given to him as a gift of appreciation for his work as an assistant coach. Other presentations included saying goodbye to a couple of assistant coaches. Phillip Hart, while remaining a teacher at the Success Academy, is retiring from softball coaching. Jaye Hilliard, who served as a community coach this season, will be moving on following graduation from college. Both received gifts of appreciation.